Glenmark burgers have unparalleled quality while keeping good value. Glenmark burgers are 100% USDA Choice Angus beef with absolutely no fillers. The products are individually quick frozen (IQF) to ensure optimum freshness and flavor. Glenmark burgers are at their best when cooked directly from the freezer. A Chicago tradition for over half a century, JEMMBURGER was founded in the heart of the historic Union Stock Yards area in 1959. In the beginning, JEMMBURGER's sales focus was on local foodservice peddlers. By 1989, the manufacturing process was upgraded, and the company began producing JEMMBURGER individually quick frozen (IQF) hamburger patties for retail sale. Moo & Oink is famous for its Chicago-style full and meaty rib tips, hot links, sausages, breakfast links and patties, chicken nuggets and the best darn BBQ sauce known to man. Moo & Oink is a legendary brand that enjoys a large and loyal following. Why? It’s because of the strong commitment to making the very best meat products and grilling essentials. 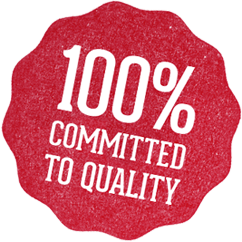 David's Kosher hot dog products are made using only the highest quality 100% kosher beef and poultry and manufactured under strict kosher guidelines. Serve retailers, distributors and food service customers by providing quality products to meet their needs quickly, consistently, innovatively and in a food and employee safe production environment. Provide unique local and regional branded product expertise through our industry knowledge and relationships. 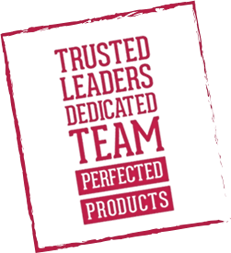 Live our company values which reflect quality in our leadership, our organization, our team members and our service. Our Quality Organization places an emphasis on Family, Stability, Opportunity and Continuous Improvement. We will provide a quality atmosphere in which to work and flexibility for employees to maintain work/life balance. We will provide an environment that is safe and secure, always keeping the well-being of our employees in mind. We will provide opportunities for our employees to grow both personally and professionally, recognizing their achievements and rewarding them generously. Our Quality Team Members demonstrate a positive attitude and loyalty to the company. They are committed to their jobs and are accountable for their performance. They will put the interests of our customers and co-workers first. They will value the beliefs, opinions, and ideas of their co-workers. Through collaboration they will overcome challenges and strive to increase their job satisfaction. Our Quality Products & Service will be nothing less than outstanding. We will strive to provide our customers the best products & service in the industry. Our customers are our community and we will seek opportunities to contribute to their success. "Get Your Grill On" Winners Announced! David's Kosher Hot Dogs Coming Soon!